Given a list, take the current element and exchange it with the smallest element on the right-hand side of the current element. Given a list, take the current element and insert it at the appropriate position of the list, adjusting the list every time you insert. It is similar to arranging the cards in a Card game. 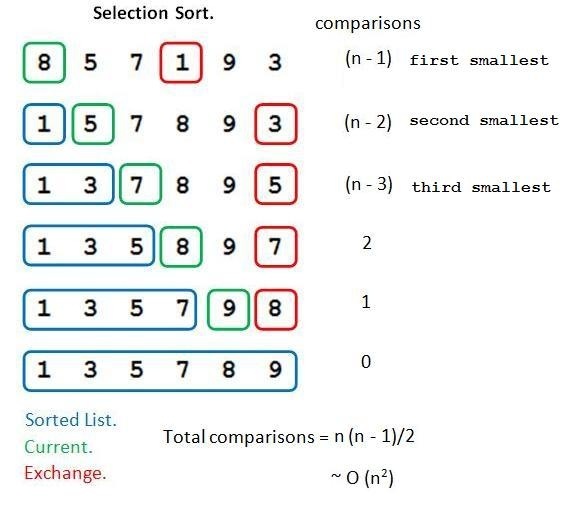 Time Complexity of selection sort is always n(n - 1)/2, whereas insertion sort has better time complexity as its worst case complexity is n(n - 1)/2. 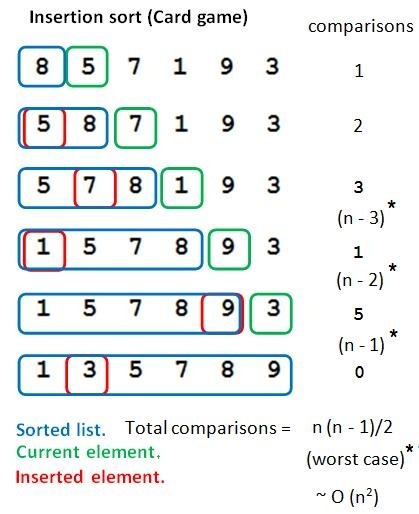 Generally it will take lesser or equal comparisons then n(n - 1)/2.